One of the things you may be dreading about going to college is the food. You just don't know how it's going to be until you actually get there. Before you even get to college, you picture yourself eating there three times a day and you may be a little worried. The good news is that you won't be eating there every day, every meal. The simple reason is because it's inevitable your schedule won't match up on certain days and times. The other reason is that you simply won't want to or will be a little tired of the food. For a little variety in your college diet, you don't have to reach for take out or fast food every time. 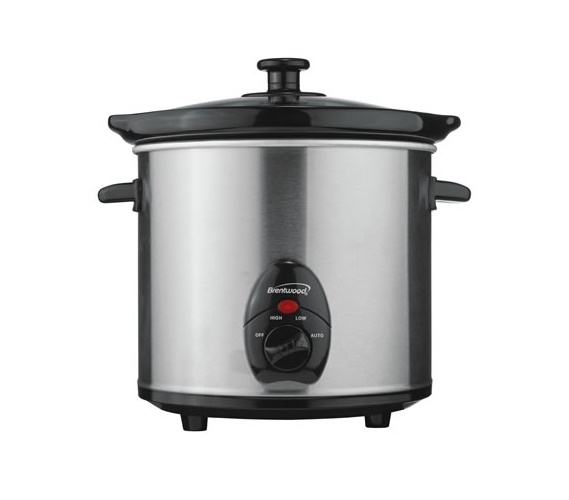 In fact, you can make meals that are quite good right in your college dorm room, and it all starts with our 3.0 Quart Slow Cooker. Once you've confirmed with your University that this is a dorm essentials item that you can have in your college supplies, you can start making healthy and delicious meals for yourself. Or you can cook a more elaborate macaroni and cheese that doesn't come out of the box. Whether it's a delicious macaroni and cheese or something as simple as soup, you can make filling meals right in your college dorm room while you sit and work on your homework.